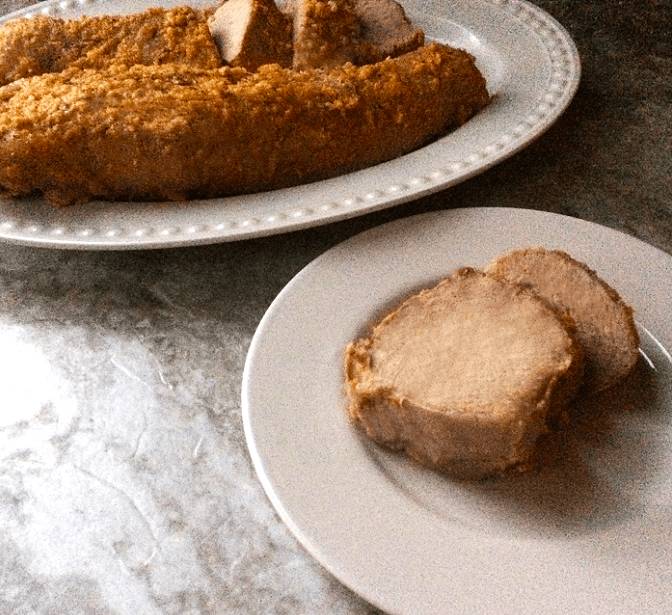 This is a recipe for Buffalo Garlic Parmesan Pork Tenderloin that is keto friendly and super easy. This is not a flavor profile that is usually made with pork, but wow, it is amazing! I have, of course, done this sort of recipe with our chicken wings recipe and whole chicken recipe. So I figured, “Why not try it with pork?” I am so glad I did because it is soo delicious. 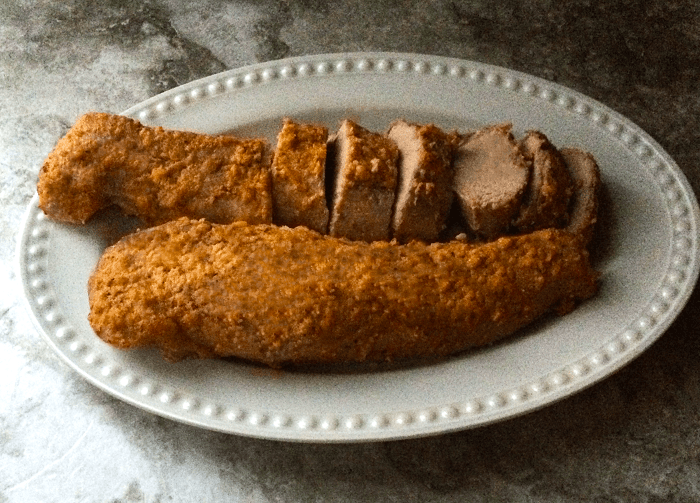 I wanted to make something a bit different than the normal garlic pork tenderloin and this is definitely different. I will be making this often because it is really good. It is just the perfect combination of heat, garlic, and touch of parmesan cheese. Scoring the meat a bit before cooking allows the flavors to sink into the meat. I love quick and easy recipes. This does require some cooking time, although the time you actually having to prepare, it is a snap. Just mix all the ingredients into melted butter, press into the meat, and throw it in the oven for about an hour. How easy is that? 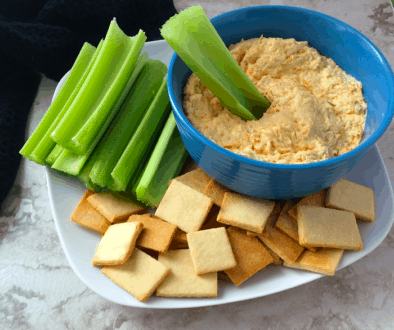 Pair this with a salad or vegetable and dinner is done without having to be in the kitchen forever. I love that. Try some of our other easy dinner recipes, such as Sausage with Peppers and Onions, Cheeseburger Pie, or London Broil Marinade. 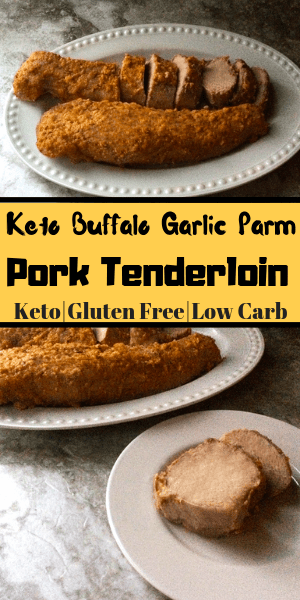 This is a recipe for Buffalo Garlic Parmesan Pork Tenderloin that is keto friendly and super easy and delicious. Place pork tenderloins in a baking pan and score the meat lightly with a knife. Place butter into a bowl and microwave until melted. Add hot sauce, minced garlic, garlic powder, parmesan cheese, salt, and pepper. Mix together until combined. Spoon mixture onto tenderloins, pressing the mixture into the scored meat, and spread over entire tenderloins until completely covered. 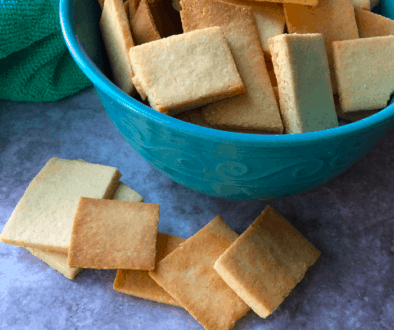 Bake for 60 – 70 minutes or until internal temperature is 150°F. Let rest for 10 minutes before cutting.